has cornered the market on fun, which our ticker symbol reflects (NYSE: FUN). In fact, our primary mission is to make people happy. We are a world leader in operating regional amusement parks and water parks, complemented with resort, hotel and recreational properties dispersed throughout the lower 48 states and near Ontario, Canada. Annually our parks welcome approximately 26 million guests and our company generates revenues of more than $1.3 billion. 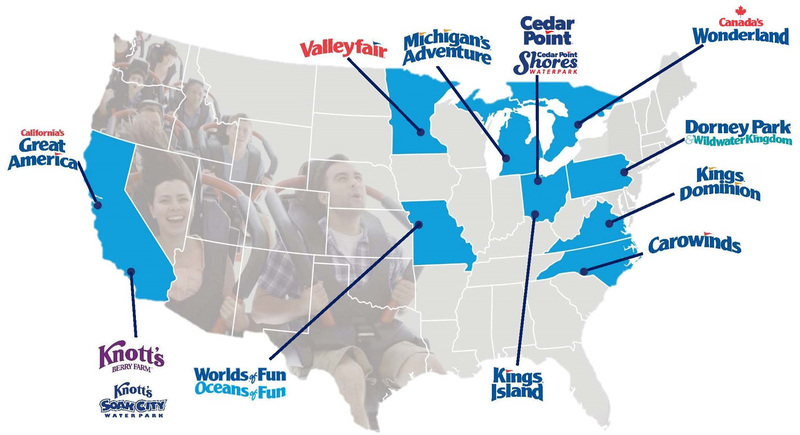 , Cedar Fair is organized as a publicly traded partnership (PTP), which allows the partnership to pay out the majority of its earnings to its owners, or unitholders, without first paying significant federal or state income taxes at the entity level, thus avoiding double taxation of our earnings. Cedar Fair has paid to its unitholders cash distributions for over 30 consecutive years totaling more than $2.6 billion. Kings Island has been the sole recipient of “Amusement Today’s” Golden Ticket Award for BEST KIDS’ AREA in the world. What does FUN mean for investors? The compounded rate of return on Cedar Fair’s units since going public in 1987 is more than 15%.